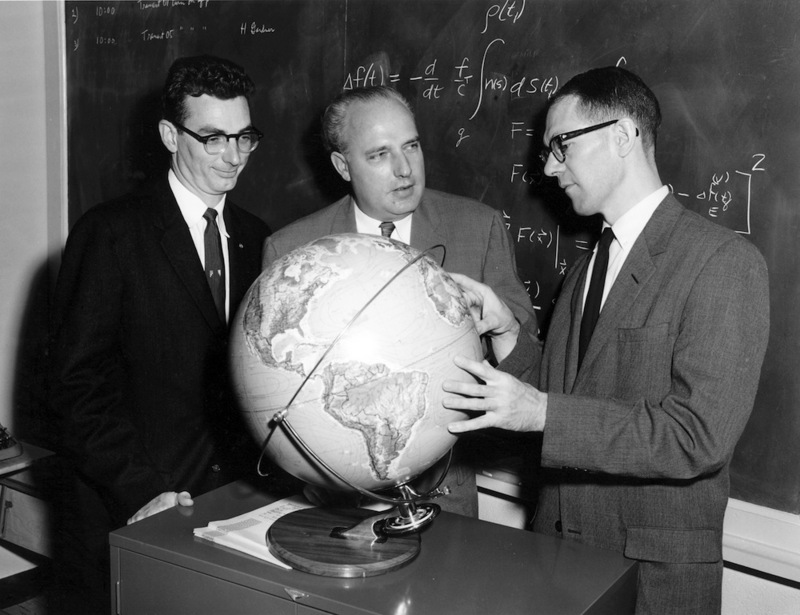 Mathematician Bill Guier (left) and physicist George Weiffenbach (right) told APL Research Center director Frank T. McClure (center) about using Doppler tracking for Sputnik. McClure suggested that a navigator could use signals from a known satellite position to determine his location anywhere in the world. This idea became the basis for Transit.